Stunning, extraordinary, dramatic, sexyâ¦ These are adjectives that only begin to describe the magic of Casa Contenta. Hidden behind high walls, this secluded and private, one-of-a-kind architectural masterpiece is located on Santa Fe's historic Eastside. Room for all, this gorgeous compound includes the main house, guesthouse, guest apartment, office and guest quarters. Built in the 1890âs and rich in history, the original three room adobe structure included the vigas showing in the walls of the main stairwell and formal dining room. The main residence was in exquisitely remodeled in 1989-90, reflecting the distinct architectural style of Santa Fe's preeminent architect, John Midyette. Bob Villa of âœThis Old Houseâ documented the reconfiguration and restoration of the then owners, Brian and Jennifer Dennehy home in a series that aired in 1990. The current owners hired Wolf Corp. to return the exterior to the original historic pueblo style. With unmatched attention to detail, impeccable taste and artisan touches, the home is elegant and romantic. Classic flagstone, plank wood and brick floors throughout. Stunning walls with hand troweled plaster, remarkable hand painted doorways and fireplaces. Ancient old doors, exotic marble, carved accents and ancient beams adorn the property. Beautiful and intimate outdoor spaces, portals and balconies abound. Featured in âœThe Secret Gardens of Santa Feâ. 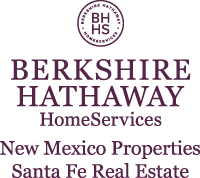 I am interested in 854 Camino Ranchitos, Santa Fe, NM 87505. Sign up for Inside AccessTM to view recent sales near 854 Camino Ranchitos.